RSUPPORT is the leading remote support solutions company in Asia, and is working steadily to become the largest in the world. Since the successful commercialization of its patented remote control system, and being one of the first cloud and icon based companies, RSUPPORT has been leading the global standard for remote support and remote control technology. 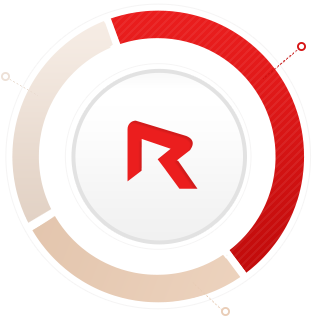 RSUPPORT has acquired a series of patents for its unparalleled, cutting edge technologies all over the world. RSUPPORT holds the largest market share in Japan, and has established subsidiaries in the United States and China. It owes its rapid growth as a global service provider to its ability in closing a series of business partnership deals with top players in local markets, and earns more than half of its revenue from overseas operations. Our flagship products, RemoteCall, RemoteView, and RemoteMeeting, have been well received and praised by all types of companies, governments, public institutions, manufacturer’s, as well as from organizations in finance and education, for its impressive speed, reliability, and security. RSUPPORT’s stellar performance as been well-documented in numerous market research reports published by leading research institutions such as the IDC, Frost & Sullivan, and the MIC Economic Research. According to a 2014 report from the IDC on the global remote control solution market, RSUPPORT was ranked fifth among the top 6 global leaders in the segment, with an annual growth rate of 25%, the highest among them, earning twice the revenue of the sixth-ranked company. In 2014, Japan’s MIC Economic Research Center noted in its report that RSUPPORT was ranked first for six consecutive years with a firm 67% market share. RSUPPORT achieved a market share of 77% in South Korea in the same year according to a survey conducted by Korea Enterprise Data. 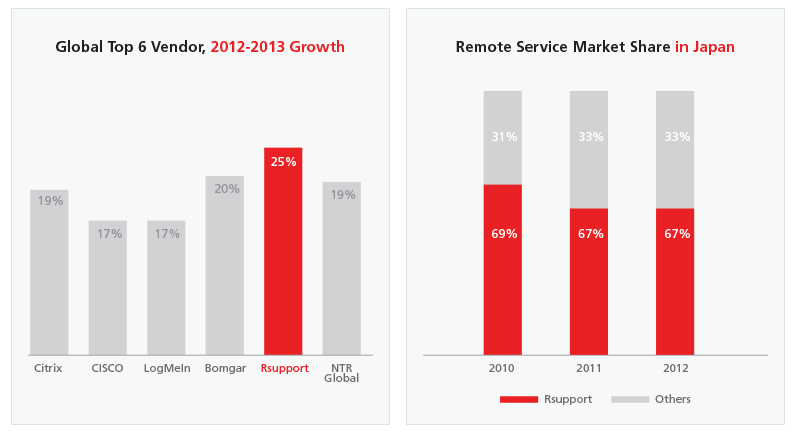 RSUPPORT’s unparalleled market leadership has been reconfirmed by numerous surveys. RSUPPORT has been focusing on developing its core technology since the beginning, in an effort to design high-quality, fast, reliable and secure remote computing solutions. RSUPPORT is also leading the mobile sector as well by monitoring the latest trends in the market. Thanks these efforts, we are being recognized as one of the key leaders in IoT technologies and more. As the leader in remote computing solutions, RSUPPORT is waging the Carbonless Support campaign. RSUPPORT is doing its duty as a socially responsible company by engaging in a variety of activities designed to protect the environment, such as the reduction in the use of fossil fuels and donations to many different global environmental organizations. The information gap among people is widening with technology breakthroughs, and the resulting evolution of the Internet ecosystem. RSUPPORT is striving to narrow the gap between individual users and corporations by providing a more accessible user interface, rock-solid security and global standards. We promote the building of a healthy Internet ecosystem by developing a host of products that satisfy and care for our customers. Development of a business foundation: the birth of the cloud computing market, with the emergence of related technology and products, and the development of network. Expansion of the cloud computing market propelled by the development of PC-based B2B businesses and SaaS. Accelerated entry into the global market spearheaded by mobile products, which is the second phase to market expansion on the crest of mobile-based cloud computing.